JoAnn Corley-Schwarzkopf | NewSchool Management: Are Your Fears Holding Back Your Leadership? 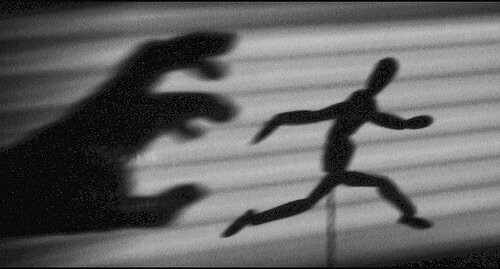 Are Your Fears Holding Back Your Leadership? That is a super important question! And one that needs to be considered by every leader and manager at every level of an organization. You know, I don't think about fear very much. As an owner-operator of my firm, I'm too busy doing and therefore on the surface don't think fear affects me very much. But then I ran across this article What CEOs Are Afraid Of. I'm gonna guess that talking about and identifying the fears of our top leaders can be... well... frightening. In our minds, perhaps, they are the ones whom fearlessly made it to the top. They are there because they don't have fear. I'm not suggesting that everyone thinks this -- perhaps some do on a subconscious level. Those who are successful must be fearless -- or least don't have the fears that I have or struggle with. And yet, this article opens the door to what would be considered taboo. Seeing inside the heart and mind of top leaders - the most private space and place of our companies. "The biggest fear is being found to be incompetent, also known as the “imposter syndrome.” This fear diminishes their confidence and undermines relationships with other executives. Their other most common fears, in descending order, are underachieving, which can sometimes make them take bad risks to overcompensate; appearing too vulnerable; being politically attacked by colleagues, which causes them to be mistrustful and overcautious; and appearing foolish, which limits their ability to speak up or have honest conversations." The results suggest to me that fear is just as pervasive in the perceived successful as in others. This made me take a step back and ask myself the question, "In the context of my business, what am I afraid of?" In doing so, all sorts of things percolated that I had not been conscious of. And that made me wonder how much and in what ways these fears have been influencing my actions. One thing for sure, I don't want a lack of awareness of my fears to undermine what I desire to accomplish. For as much as I can, I want to know them so that I can successfully manage them. About 60% said those first three fears affected behaviors on their executive team, although 95% said that executive team members had a very limited view of their own fears. About two-thirds believed they had “some” self-awareness. Of course, this is more than just about managing fear for the sake of it. Fear unrecognized and unmanaged can lead to significant operational dysfunction with substantial adverse consequences. The five top fears resulted in these dysfunctional behaviors: a lack of honest conversations, too much political game playing, silo thinking, lack of ownership and follow-through, and tolerating bad behaviors. Asked to think about the fallout from those dysfunctional behaviors, the executives mentioned more than 500 consequences. Those mentioned most frequently were poor decision-making, focusing on survival rather than growth, inducing bad behavior at the next level down, and failing to act unless there’s a crisis. Ok, seriously, 500 consequences is pretty profound! That suggests that those of us in the leadership support and development industry should consider how we're addressing this. So, as a leader, what are your fears? How are you managing them? How are you helping fellow leaders with their fears? It's worth the time to give these questions serious thought!